SEO Image Optimizer is an SEO friendly plugin. This plugin dynamically replaces title and alt tag of images. All changes will do without effecting the database. The plugin also resized and compressed the images to boost your site speed. So activate the plugin, give a pattern and you are ready to go. 2. 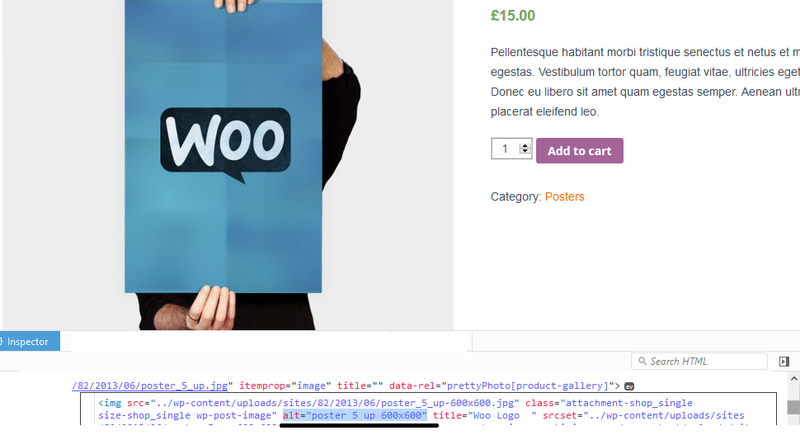 Image optimized by dynamically replaces title and alt tag of images and image resize and compress to boost site speed. Now, we are explaining about installation, configuration and get output using SEO Image Optimizer Pro plugin. 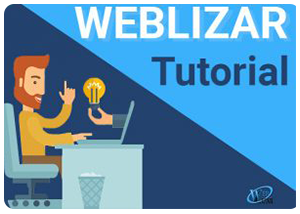 Upload, Install & Activate plugin into a WordPress site. 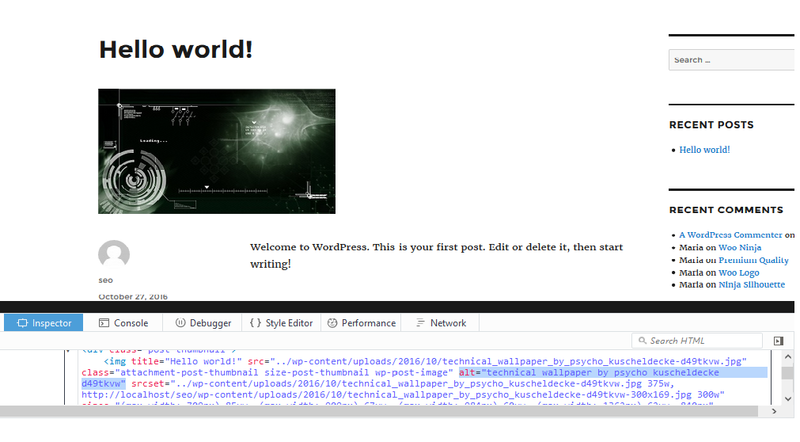 Now our plugin is successfully installed on our site, In next step, we will Setup some settings. High-resolution images that are unnecessarily large in file size can unknowing slow down your site speed. Why waste resources and time when it’s possible to reduce image size without losing its quality?. 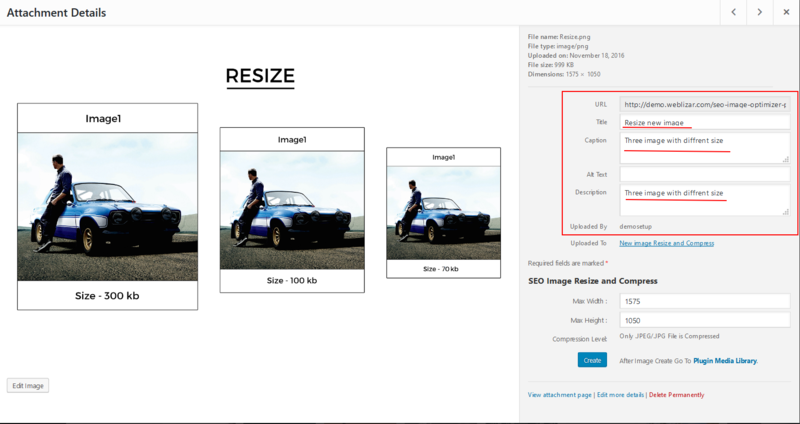 Now with SEO image Optimizer Plugin… Set a max width and height and images will scale down as they are being compressed. You can also compress and re scale old images with new URL. SEO image Optimizer Plugin nicely scans every image you upload – resize and compress by cutting all the unnecessary data and scales it for you adding it to your media library. Just set default max width and Height for images and set a compression level. 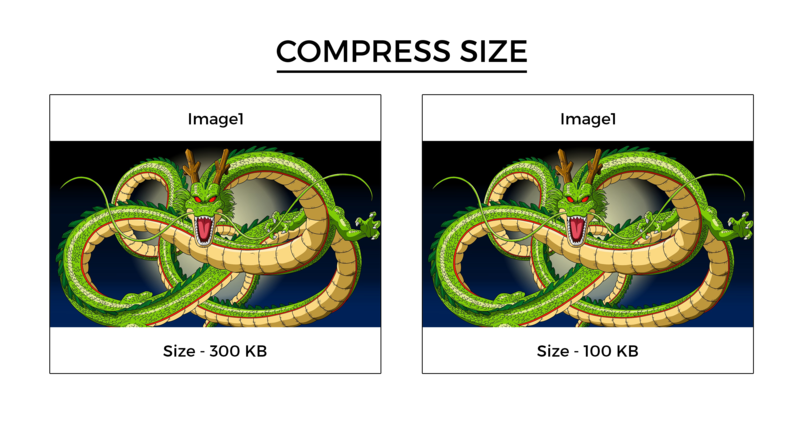 Now when you upload a new image SEO Image Optimizer will be compressed and resize in set dimension. 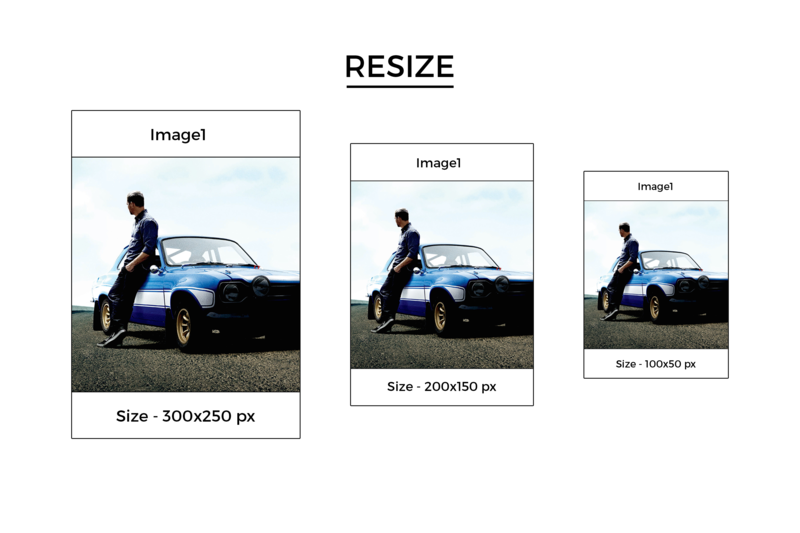 On Resizing option to enable resize option for new images. High-resolution images that are unnecessarily large in file size have added in your site blogs and page and slow down your site speed. You can re scale and compress it by one step and create a new image link. SEO Images Optimizer Pro will resize and compress your old images with new URL. It’s compressed and resized the old images without any changes on files. Mean it creates new image and URL with compress size. you just compress and resize the old image and get new image URL for use. For more details please see screenshot step by step. You can find new image and URL at this image library. If the library is blank then go to WordPress default image library. 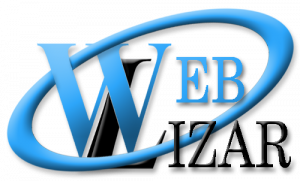 Click Create SEO image button and jump to SEO image resize and compress section. Set a value for max Width and Height of new image. if image is jpeg/jpg file then you also set compress level of image file and get compressed and resize image with new URL. after create new image. GO TO Plugin Media Library. Now you can see the new image with some details like image name, new size, date of creation and get Image URL link Button. Click to get new image link button and copy new image URL and use it anywhere in your site. SEO image optimization plugin that will automatically optimize your images as you upload them to your post and page. this plugin dynamically insert SEO friendly title and alt tag in images. 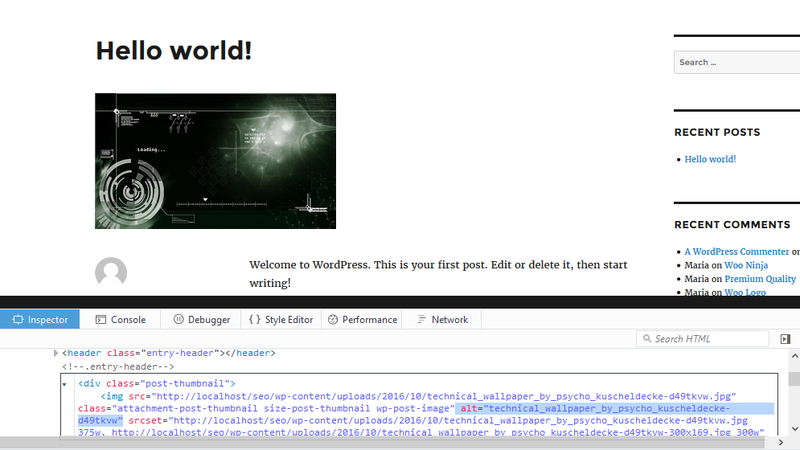 plugin will insert text title in images if your blog image haven’t any title. 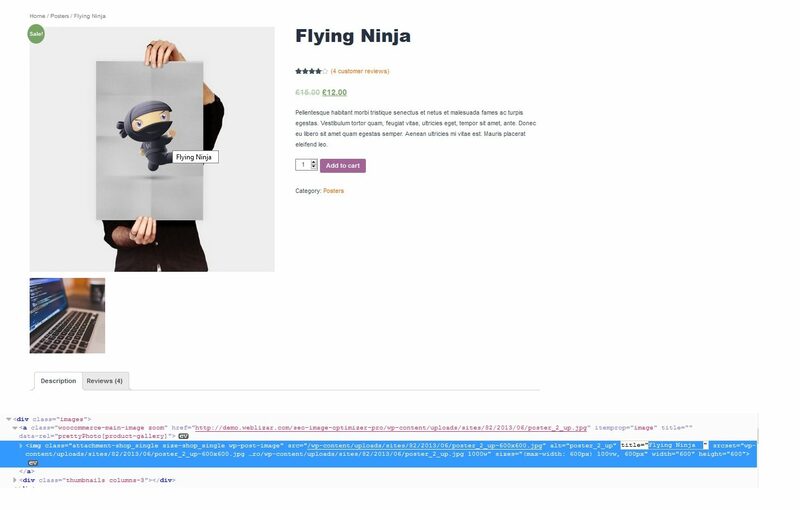 you need to give a pattern and your images will come with title and alt tags. SEO image Optimizer Plugin dynamically inserts alt and title tag with all images which are used in your post and pages. you just provide a title and alt output pattern and give it permission to override to old one. You can also give the custom title and alt text. also added text title if the title of your image is blank. SEO image optimizer plugin provides some option for image titles. 1. Insert text if the title is blank: If Your existing images title is blank then this option will insert a title. you just need to check this option and see what you changes in your site images. 2. Insert custom title: If you want to add a custom text for image title. just add text and see what you added in your images title tag. 3. Insert a title as a selected pattern: You can insert title from selection pattern options. %site_name – It will insert Site Name. %name – It will insert Image Name. %title – It will insert Post Title. %post_cat – It will insert Post Categories. %tags – It will insert Post Tag. 4. 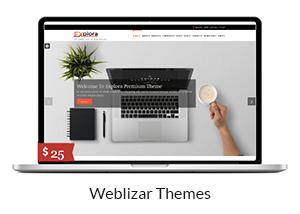 Override existing title: This option will override existing images title with custom and selected pattern title text. This plugin a unique featured image library. Where you can change the old title, caption, and description of your old images. New title and another one will be restored with old one by reset button. so don’t worry about old data of your images. SEO image optimizer plugin provides some option for each single image. Insert text if Title, Description, Caption is blank. Insert Custom Title, Description, Caption. Reset Title,Description,Caption as default old value. Click an image to see old values of Title, Description, Caption. Now Go to again plugin media library and set new title and new value for description and caption and saved. now click on an image and go to WordPress media library where you see new values of title, description and caption section. Once you click on reset button you get all old values of an image. SEO image Optimizer Plugin also works with blog and page featured image. It is inserted alt and title with featured images. 1. Checked and On the Featured image title and alt attributes override Option. 2. give a custom title or a pattern. 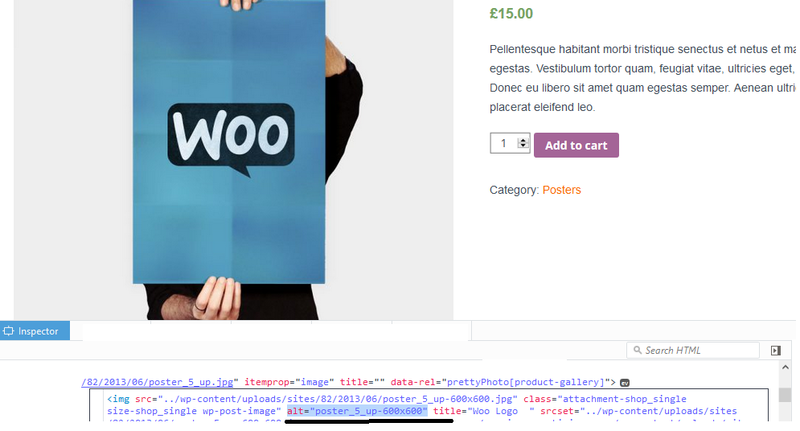 If you’re a e-commerce WordPress site and use Woo-Commerce plugin for it. 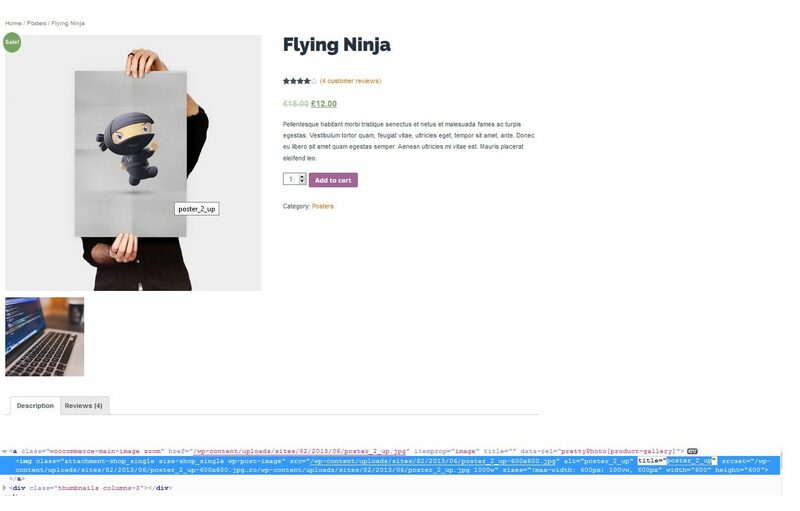 In my view, all other things being equal, the quality of your images and how well they’ve been optimized is one of the most important determining factors for eCommerce success. SEO Image Optimizer plugin will optimize your site product images to increase your site ranking in search engine. A good ranking will increase your product sale. 1. First checked option from plugin dashboard settings. SEO image Optimizer Plugin Remove delimiter characters (like dot-dash etc) from the title and Alt tag. you can add characters list which you want to remove from image title and alt tags. First on Remove Delimiter Characters Option. Then add characters in the text input. we already added some characters already. (Like ” , ‘ _ – …… etc). Image alt with some special and delimiter characters. SEO image optimizer plugin removed all listed characters from the image and now Image alt will come without special and delimiter characters.